Three charts from the '60's this week ... all with some unusual "charters" worth mentioning! Look at Billy Joe Royal at #2 (down from the top spot the week before) with "The Greatest Love". The best that one could muster in Billboard was #117 as a "Bubbling Under" B-Side! You'll find Tiny Tim at #5 with his version of "Great Balls Of Fire", the follow-up to his fluke hit single "Tip-Toe Thru The Tulips". Also in The Top 20: Peggy Scott and Jo Jo Benson (who we featured a couple of weeks ago in our "Wild" Friday salute) with "Soul Shake", somebody called Africa at #11 with "Here I Stand" and another artist I'm not familiar with, The Waters, falling from #8 to #14 with "Day In And Out". "Indian Giver" by The 1910 Fruitgum Company; the Glen Campbell and Bobbie Gentry version of "Let It Be Me" and The Arbors' EXCELLENT take on the Box Tops classic, "The Letter". Wow! What a GREAT Top Ten on this WHHY Survey from 1967! There's a rare, forgotten hit by Peter and Gordon at #13 with "Knight In Rusty Armour" ... and who can forget The Innocence and their soft-rock take of the old childrens' nursery rhyme "Mairzy Doats"? 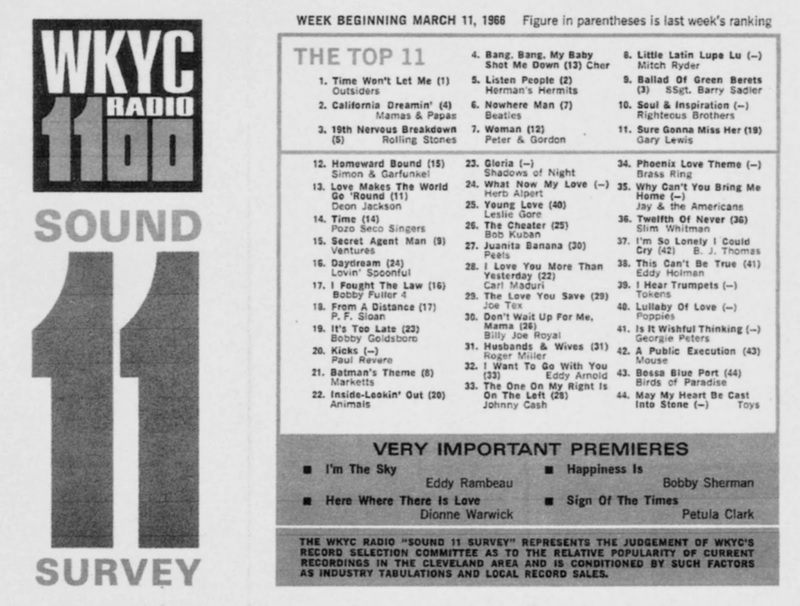 Nice to see Chicago's Buckinghams and New Colony Six represented here, too, with "Kind of a Drag" at #11 and "Love You So Much" at #36, not far behind '60's classics like "Strawberry Fields Forever" / "Penny Lane" by The Beatles and "For What It's Worth" by Buffalo Springfield. There's our FH Buddy Sonny Geraci (and The Outsiders) at #1 with "Time Won't Let Me" ... Sonny has been all over our pages lately due to the fund-raising concert fiasco held down in Streetsboro, Ohio. "California Dreamin'" is at #2 ... it would go on to be the Biggest Record of the Year here in Chicago for 1966 according to that same WCFL Survey. You'll find Peter and Gordon on THIS survey, too, holding down the #7 spot with "Woman", a song written by Paul McCartney under the pseudonym of Bernard Webb. How about "Secret Agent Man" showing up by The Ventures at #15? The big national hit was by Johnny Rivers, of course. And you'll find some country cross-over hits here, too, by way of Billy Joe Royal, Roger Miller, Eddy Arnold, Johnny Cash, B.J. Thomas (with his GREAT cover of the Hank Williams tune "I'm So Lonesome I Could Cry") and Slim Whitman!!! 50 Years Ago Today, The Beatles landed on our shores for the very first time. Two nights later, 73 Million Americans would watch their first live televised performance on The Ed Sullivan Show and the rest, as they say, is history. They single-handedly launched what's become forever known as The British Invasion ... but it was really more of a musical revolution ... each week this year we've been looking back at the evolution of The American Charts to see again what a tremendous impact these sounds from across the ocean had on the music scene here in The States. I WANT TO HOLD YOUR HAND is in its second week at #1 in Billboard Magazine … meanwhile, SHE LOVES YOU has joined it in The Top Ten, sitting at #7 this week. PLEASE PLEASE ME has climbed to #57 and I SAW HER STANDING THERE, the B-Side of their #1 Hit, has hit the charts for the very first time at #68. DUSTY SPRINGFIELD is now sitting at #54 with I ONLY WANT TO BE WITH YOU, nearly a 20-point jump from the week before. The Beatles hold down two of the top three positions this week in Chicago on the WLS Silver Dollar Survey with "I Want To Hold Your Hand" holding on to the #1 Spot and "She Loves You" right behind it at #3. Cliff Richard premiers this week at #34 with his version of the 1950's classic "It's All In The Game". And of course February 9th was the biggie ... The Beatles' first appearance on The Ed Sullivan Show. With an estimated audience of about 73 MILLION People, virtually a third of the entire U.S. Population was tuned in to CBS that night ... and watched history in the making. (This Sunday Night ... at exactly the same time .. and in exactly the same theater ... CBS will broadcast what has now been expanded to a two and a half hour television special they're calling "The Night That Changed America" ... featuring a number of contemporary artists performing Beatles classics on stage, joined at the end by the two surviving Beatles, Paul McCartney and Ringo Starr, who will perform together in honor of this monumental anniversary. History has long since documented that The Beatles' big breakthrough here in The States came thanks to their appearance on The Ed Sullivan Show ... and there is NO question that this event propelled them into the stratosphere ... anybody who hadn't heard of them before February 9th, 1964, certainly knew who they were now ... but as we have seen in our weekly 50th Anniversary updates, their music had already caught on with the fans. By the night of their first appearance, The Fab Four already had FOUR titles charting on The Billboard Hot 100 Pop Singles Chart. Truth be told, it was actually Late Night Talk Show Jack Paar who first introduced the band (and the mass hysteria surrounding them) to an American audience several months before. Without a best-selling record on the market, however, any possible momentum that this hysteria may have generated just went nowhere. This is meant to in no way diminish the impact that this Sullivan appearance had on their career. Conquering America was the final step ... Beatlemania was now a full-blown, world-wide epidemic ... it was unlike anything else we'd ever seen ... even bigger than Elvis ... and NOTHING was bigger than Elvis!!! A then record-breaking audience of about 73 Million tuned in that night ... February 9th, 1964 ... to watch The Beatles' first appearance on The Ed Sullivan Show. They made two separate appearances on the program that night ... and sang a total of five songs, including their current #1 Hit "I Want To Hold Your Hand", as well as "All My Lovin'", "Till There Was You", "She Loves You" and "I Saw Her Standing There". Lou Simon will be playing ALL the British Invasion artists who charted in 1964, in order, based on their chart performance for the year, based on information collected from Dann Isbell's book "Ranking the '60s." This Very Special British Invasion Anniversary Countdown runs exclusively on Sirius / XM's 60's Channel, airing at 2 pm on Saturday, February 8th, at 10 am on Sunday, February 9th and again on Wednesday, February 12th at 9 pm ... all times Eastern. Just about three years ago I had the enormous pleasure of interviewing Andrew Solt for Forgotten Hits. For those of you who don't know, Andrew owns the rights to EVERY Ed Sullivan Show ever broadcast on CBS television. AS: So you remember that very first Beatles appearance? So many of us do ... it was a life-changing moment for many of us. By then, early 1964, we had heard the records but we had never SEEN The Beatles. You had the record album covers to look at, of course ... but we had never seen them perform live ... and witnessed their wit and charm and charisma. The Beatles' first performance drew nearly 73 million viewers ... it's a mind-boggling statistic ... that THAT many people would tune in to see one act perform ... and a relatively unknown, unproven act at that! But you have to understand that Ed's program regularly drew 30-35 million viewers, each and every week. That's almost unheard of in television today. Today the only programs that generate that kind of an audience ... 30 million viewers ... would be something like a major sporting event like The Super Bowl ... or perhaps the season finale of "American Idol" ... but Ed Sullivan delivered those kinds of ratings on a regular basis back then when there were less than half as many Americans. Now consider that there were far fewer televisions in homes back then ... and the numbers become truly staggering. kk: In hindsight it seems to be a rather bold move, insisting that they wouldn't come to America until they had a #1 Record here ... but The Beatles had already had ENORMOUS success all over Europe at this point ... in a way, America was the last land to conquer. And in hindsight, it seems they needn't have worried ... at one point The Beatles had FOURTEEN of The Top 100 Singles in America!!! AS: You know some people say that The Beatles' appearance on The Ed Sullivan Show was NOT their first American television appearance ... and they'll site a short clip that aired on The Jack Paar Show two weeks before ... but that clip didn't really show The Beatles performing ... it showed the fans turning up at the airport to greet The Beatles and made fun of their unusual hairstyles. In fact, right before their Sullivan appearance, Walter Cronkite had run a short newsreel clip of the pandemonium of Beatlemania at a European appearance ... but The Beatles' appearance on The Ed Sullivan Show was their first LIVE appearance on American television ... and this is the one that we all know gave rise to Beatlemania here in full-blown fashion. The Beatles only made four live appearances on Ed Sullivan ... the original three as stipulated by their contract signed in 1963 and a fourth appearance in 1965 that aired just prior to their appearance at Shea Stadium. Exciting news to be sure! We heard from Andrew Solt this week ... he's the guy who owns the rights to ALL of the Ed Sullivan Show archives ... and it sound like there'll be LOTS of BIG doings going on in relation to The Beatles' first appearance on The Ed Sullivan Show fifty years ago this weekend. (In fact, watch for our special salute on Friday as we look back 50 years ... Scott Shannon will also be saluting Beatlemania on The True Oldies Channel all weekend long ... and, of course, on Sunday Night ... EXACTLY 50 Years Ago TO THE HOUR ... CBS Television will be broadcasting "The Night That Changed America", an All-Star Tribute to The Music of The Fab Four, featuring a reunited performance of Paul McCartney and Ringo Starr, the two surviving Beatles ... on the very same stage they graced some 50 years earlier for their very first U.S. appearance. It has really been a tidal wave these last few weeks! I don't really have anything to say or add to what has been published in papers, etc. except that the concert a week ago tonight was absolutely magical and it could not have been a greater pleasure than it was. Awesome. It went perfectly. The artists performing Beatles songs did a masterful job. But, of course, the fact that Paul McCartney and Ringo Starr performed on stage together and separately was an unforgettable moment for the books -- one of the great moments of my life and for everyone I talked to who was in attendance would agree. It was as good as it gets. The special this coming Sunday night will blow people away. It is a rare, wonderful moment in music and Beatle history. Set your DVR's. You will want to watch it again and again -- especially the last half hour. Ken Ehrlich and his Grammy team did a fantastic job. Could not have gone better! As for the line-up, it's outstanding. Maroon Five will kick off the show EXACTLY the same way The Beatles did some fifty years prior by performing "All My Lovin'" ... they then jump ahead a year and treat us to "Ticket To Ride". They will be followed by Keith Urban and John Mayer performing "Don’t Let Me Down". Next up ... Ed Sheeran doing "In My Life" followed by "Let it Be" by Alicia Keys and John Legend and "Revolution" by Imagine Dragons. We're then treated to Katy Perry's rendition of "Yesterday", followed by the reunited Eurythmics for their take on "The Fool On The Hill." Then check out these special pairings: Brad Paisley, Pharrell Williams, Cirque du Soleil for "Here Comes The Sun", Dave Grohl and Jeff Lynne for "Hey Bulldog", Joe Walsh, Jeff Lynne and Dhani Harrison (George's son) for "Something" followed by Gary Clark Jr., Joe Walsh and Dave Grohl for "While My Guitar Gently Weeps". (A little mini-tribute to George in that set!) Stevie Wonder then wraps things up with his rousing rendition of "We Can Work It Out" before Ringo and Paul take the stage. Let the mass hysteria begin! Ringo kicks things off by performing three of his Beatles classics: "Matchbox", "Boys" and "Yellow Submarine", performing with his All-Starr Band. Then Paul takes over with his band and treats us to "Magical Mystery Tour", "Birthday", "Get Back" and "I Saw Her Standing There". The whole evening then caps off with Paul and Ringo ... joined by Cirque du Soleil ... performing The Beatles' biggest hit ever, "Hey Jude". FYI - from what I could tell, Ringo's Grammy band included Steve Lukather (Toto) on 12-string guitar, producer Don Was on bass and Kenny Aronoff on drums. That Tom Hanks produced CNN British Invasion documentary covered lots of ground WAY too quickly, glossing over important BRITISH parts for Beach Boys longer parts at times. Still, it was good. Why did they not show "The Wonders"?? That one hit wonder group?? Despite WLS playing AND charting "Please Please Me" in May of 1963 (actually March - kk) for three weeks, they WERE correct about WWDC in Washington, DC playing "I Want To Hold Your Hand" first. Some of the footage used was awesome to see non-grainy for the first time I'd ever seen it -- "Some Other Guy" at The Cavern and the clips from "Inside Pop" looked great. Nice of them to play the best song of the decade, "Look Through Any Window", too! Haha. When they ran thru all the Brit groups, the SOUNDS of each were so different from each other. Their take on Sgt Pepper was common, but I just considered it another great album when it came out. 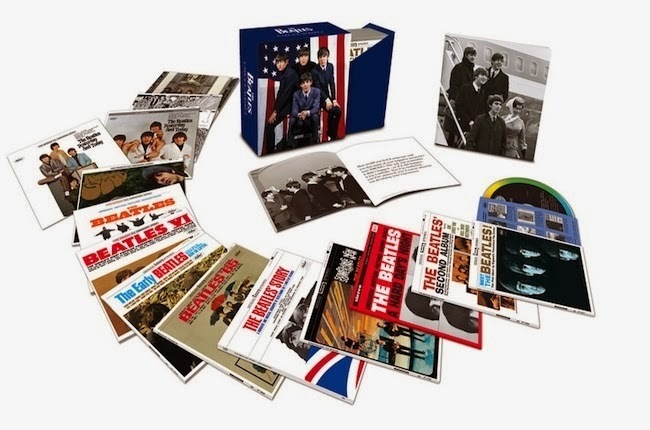 They make it sound like the Beatles albums were not special before, when in reality, almost EVERY album the fabs did, we hung on EVERY song and I still listen to an LP cut and start to hum what would be the next song on the album, even when I don't have that on my MP3 player today. They said DJs played the album non-stop three days? I, for one, listened to it a lot, BUT my number one for four weeks at that time was "It Could Be We're In Love" by the Cryan Shames. What Sgt Pepper DID do for the first time that was awesome, was run the songs into each other creating a longer lasting montage in your head than just the individual songs. By the end of the year, the Cryan Shames tried it with two songs on their "A Scratch in the Sky" LP and then a year later, an entire album side on "Synthesis". Chicago did similar in 1970 with the "Ballet for a Girl from Buchanon" set of songs. The Moodies started doing it also with 1968's "Days of Future Past." They continued it endlessly. A good tribute show with lots of classic song clips as well as obscure such as "Very Last Day" by the Hollies! As was the case with Bill Buster, I did not see the world wide satellite broadcast of "All You Need is Love" when it was aired live. What was it that made Beatles fans like us MISS this important event?? I am about 100% positive we did not know about it in time, like we did the Sullivan '64 appearance. I saw this special Sunday Night (actually turned off the lop-sided Super Bowl to watch it!) and I thought it was all-right ... keep in mind this is only a one-hour recap of a ten hour series ... so I expected we'll see a whole lot more when the entire series runs in May. I agree that they did seem to get a bit off-topic during the last 20 minutes or so ... lots of time spent talking about Bob Dylan, The Beach Boys, Motown, etc ... ALL important and significant factors in '60's music to be sure ... but not much to do with the subject at hand, which was SUPPOSED to be all about The British Invasion. Still it was GREAT to see some of these clips again. And for me that's going to be the key as to how much I enjoy this series ... seeing all those vintage clips again. (The only one I saw Sunday that I hadn't seen before was the one of Ringo behind the console in the recording studio, explaining how it worked ... how it could turn a guitar into a piano ... and then saying "Now you might ask why we just don't use a piano", further explaining that they had already turned that piano into a guitar. Funny stuff! The other thing that was ESPECIALLY funny for me was watching the James Brown clip from the T.A.M.I. Show. Coming on literally 45 minutes after Bruno Mars' half-time performance at The Super Bowl it was remarkable to see James Brown execute those EXACT SAME MOVES ... 50 years earlier!!! A fellow collector made the mistake of visiting Pepperland as the same time a Beatles Faire was taking place in the Los Angeles area. Much of the Pepperland Beatles stock was at the Faire; he was very disappointed in the timing of his visit. Did the Beatles really invade America 50 years ago? Yeah, yeah, yeah! On February 9, 1964, John, Paul, George and Ringo appeared on "The Ed Sullivan Show" and began their first American tour. That same year they released "She Loves You," "I Want to Hold Your Hand" and 30 other songs that hit Billboard's Top 100, at one point having the top five hits on Billboard's Hot 100 singles. The group's last paying concert happened two years later at Candlestick Park, but Paul McCartney apparently is in secret negotiations to play the Stick this year before it's demolished. For those without tickets, here are some spots where Sgt. Pepper still commands. Liverpool-area native Gillian Lomax leads this 3 1/2-hour tour starting in Santa Monica, where she tells how John Lennon once spent a "lost weekend" there. The tour goes past Elvis Presley's home in Bel-Air where the Fab Four met the King; cruises Blue Jay Way in the Hollywood Hills, where George Harrison lived; stops at other Beatles-related sites in Brentwood, Pacific Palisades and Beverly Hills; and ends in Hollywood at the Beatles' four individual stars on the Walk of Fame near the Capitol Records Tower. If you prefer singing solo, Café Royale in San Francisco hosts Beatles karaoke night the first Monday of the month: 800 Post St.; (415) 441-4099; www.caferoyale-sf.com. The Beatles played this venue three times, and its small museum displays a copy of their original contract, a short video of their 1964 show, an audio clip and photographs of screaming fans. 2301 N. Highland Ave.; (323) 850-2058; www.hollywoodbowl.com/philpedia/hollywood-bowl-history/rock-pop-jazz. LOTS of cool stuff coming across our desk of late. 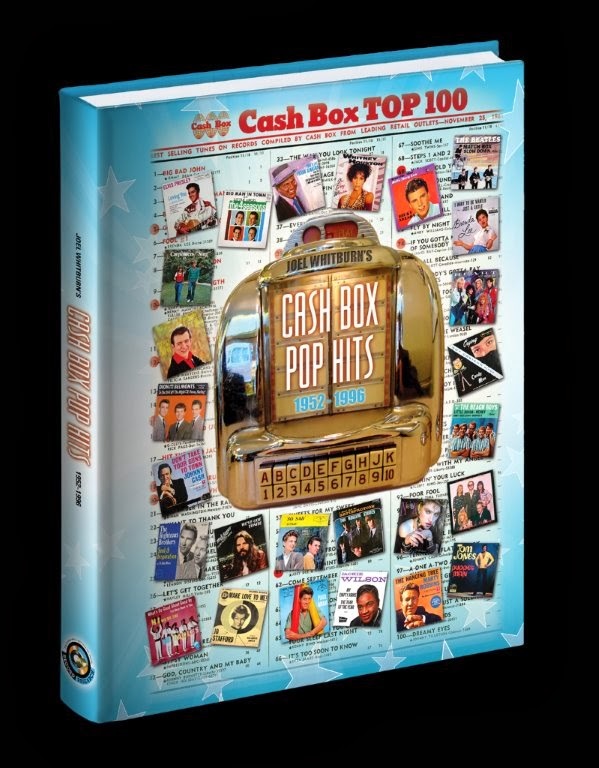 First off all, Joel Whitburn's brand new book saluting the Cash Box Pop Charts started shipping last week ... and it's an absolutely BEAUTIFUL edition (and welcome addition!) to The Record Research Library. One look into the new book shows in great detail what was wrong with the previously published editions. While we've been aware of it for awhile, the mistakes start as early as Page 1!!! Multiple mistakes abound in each edition. (I've heard there are literally hundreds ... if not THOUSANDS ... between the two books.) Joel and his staff have painstakingly researched every line of every chart ... and then cross-checked them against the actual records themselves, many of which Joel had to add to his private collection, just to make this book as accurate as possible. Last week the U.S. Capitol Beatles albums also hit the street. I picked up four of them ... the United Artists Soundtrack to "A Hard Day's Night" (never previously available on CD before), "Hey Jude" (a U.S. only compilation album released during the lull, waiting for "Abbey Road" to come out), and the U.S. pressings (featuring a different track line-up) of "Revolver" and "Yesterday And Today." 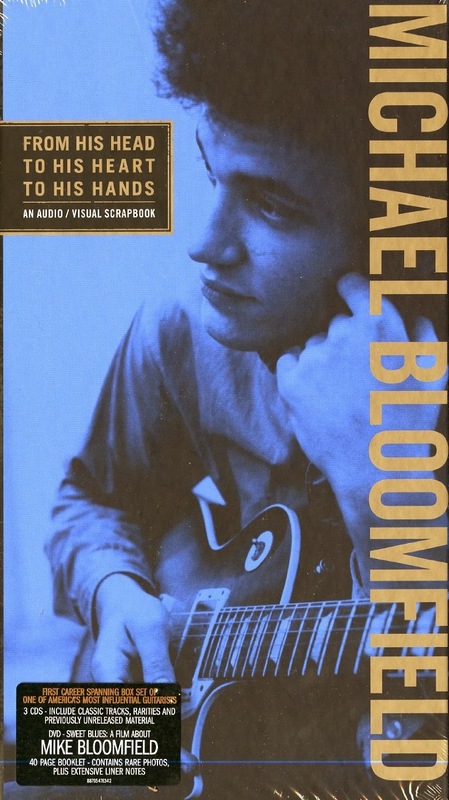 And finally, Al Kooper sent me a copy of his brand new Michael Bloomfield Box Set, a project he's been working on for a good chunk of the past two years It, too, is beautifully packaged and features three CD's of material, as well as a bonus DVD disk. I haven't had a chance to delve into this one yet ... but see it prominently advertised in all the trades that still sell CD's ... so I'm hoping to dig in soon. 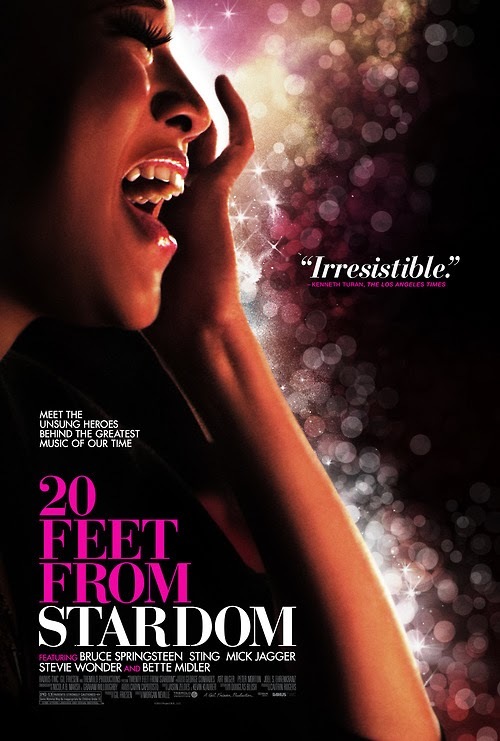 For months now we've been talking about the new documentary "20 Feet From Stardom". Reviews from our readers have been great ... yet we STILL haven't seen this film. or otherwise? Goes to show that even the most apparently well-intentioned information movie has to be taken somewhat with a grain of salt. Still a do-not-miss movie for the music fan. As far as I know, La La Brooks was always the acknowledged lead singer on "Da Doo Ron Ron", a #3 Hit for The Crystals in 1963. Darlene Love was the uncredited lead singer on their previous #1 Hit "He's A Rebel" ... which is probably why SHE'S featured in the film and La La Brooks isn't. Good to hear from you. Things are going well here in Dallas, but we are also having a much colder than usual winter here - can't wait for spring! I did see the movie several months ago. It is definitely worth seeing. I don't remember the part about Darlene taking credit for the lead vocal on "Da Doo Ron Ron", although that is something I would normally have noticed and remembered. I have no idea why La La Brooks was excluded or if there was anything political about it. The movie was about background singers, and Darlene Love was one of the best and one of the most prolific - La La was not. The truth of the matter of who sang lead on "Da Doo Ron Ron" is a little interesting. Darlene had sung lead on "He's A Rebel" and "He's Sure The Boy I Love", and she received no credit. She was furious with Phil Spector for crediting those records to the Crystals instead of her. Phil promised her it would not happen again and that she would get credit on the next one. Hmmmmmm - hope that helps.